You know when you’re eating something and every time you take a bite, you have to say how good it is? Even if you’re by yourself? Ooooooor is that just me? 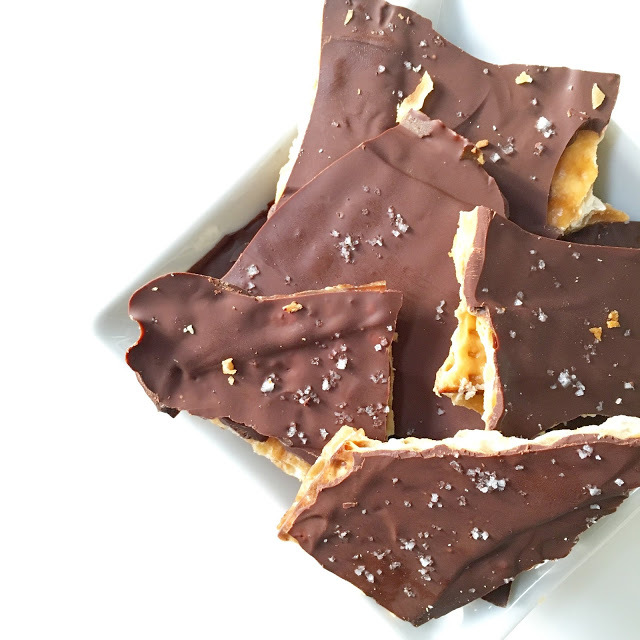 I think this crack chocolate salted toffee cracker will have you doing just that. 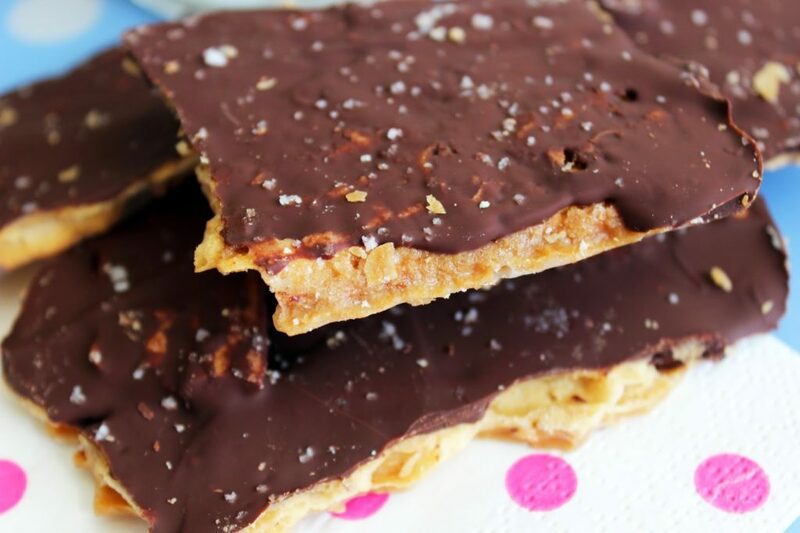 Crunchy, rich, and sweet with a touch of salty. 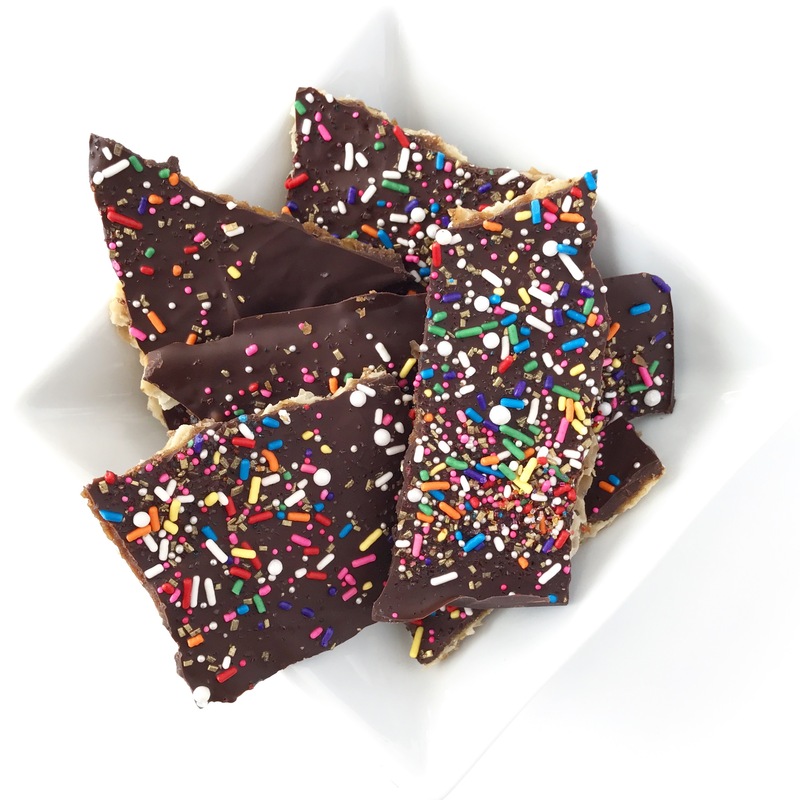 Since Passover starts Friday, we made ours with matzo, but you could certainly use Ritz crackers or Saltines. Scroll down for the super simple recipe. This is the best baking investment you can make. 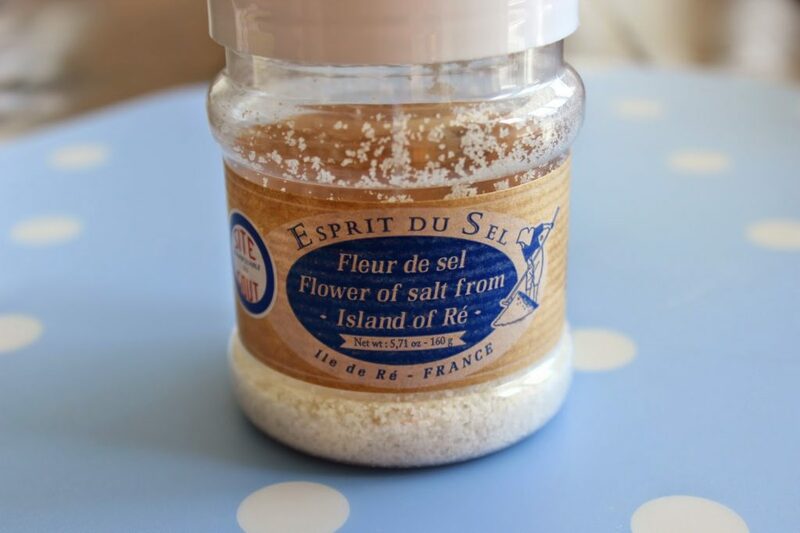 I sprinkle this on every chocolate dessert I bake. toppings – fleur de sel, toasted almonds, sprinkles, candy, peanut butter chips… the list goes on! 2. Line baking tray with parchment paper. Cover tray with matzo, edge to edge. 4. Immediately pour over matzo and spread with an offset spatula. This will turn into a sea of bubbling toffee so it will sort of spread out naturally- don’t stress if it’s not perfect. 5. Bake 10 or so minutes until toffee is bubbly and brown. Watch or it will burn! 6. Remove from oven and immediately sprinkle chocolate chips on top. Cover loosely with foil. After 5 minutes remove foil and spread the now-melted chocolate chips evenly over toffee. 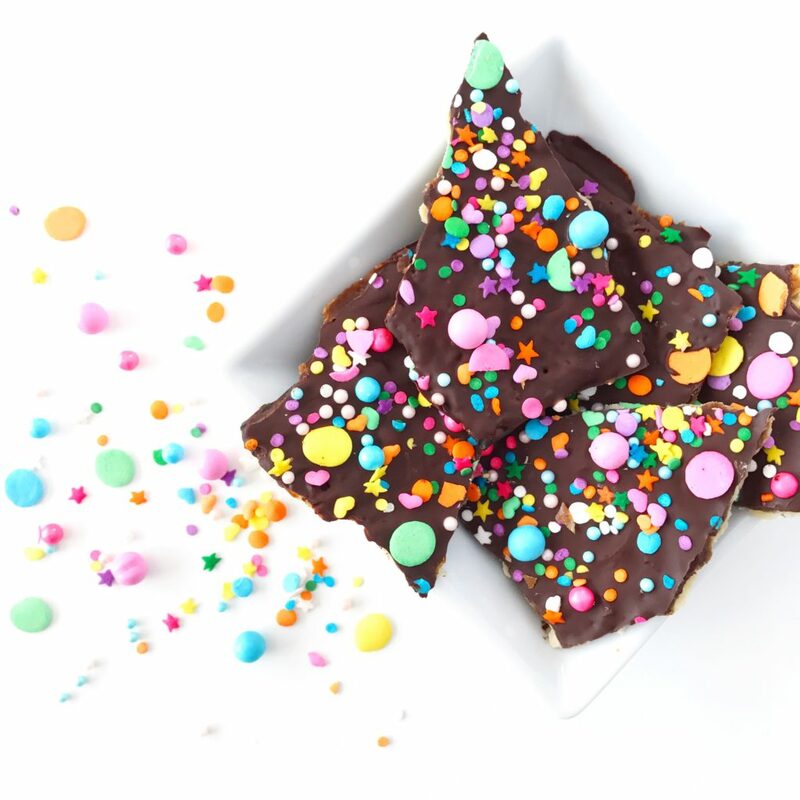 Sprinkle with your fav toppings. 8. Try not to consume all at once. We all have our favorite chocolate chip cookie recipe that is our go-to. Jenni’s is soft and chewy with a brown sugar flavor, while mine is salty, chewy, and crisp on the edges. I have this dough in my fridge most of the time, just ready to scoop out what we want at the moment. 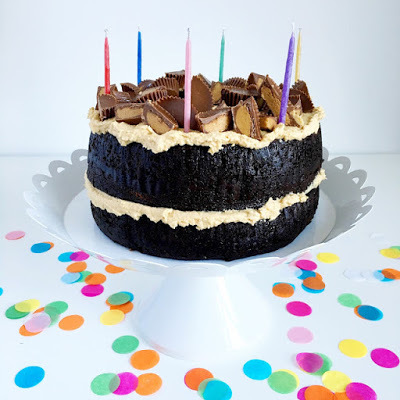 So good for those late night cravings or for your kids after school treat! I’ve made these with lots of variations as far as add-ins. 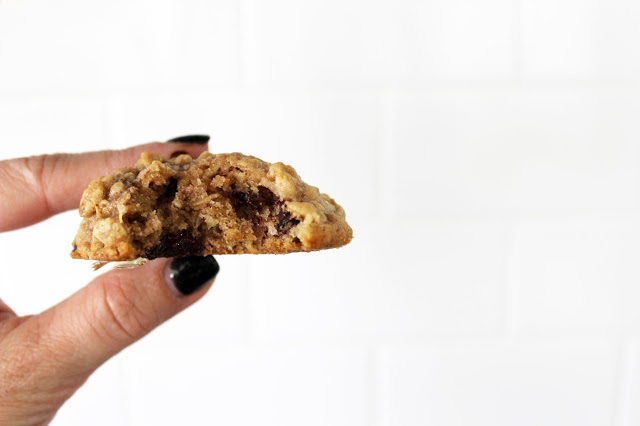 These are perfect with just bittersweet chocolate chips, but I also love to add dried cherries… trust me on this one. 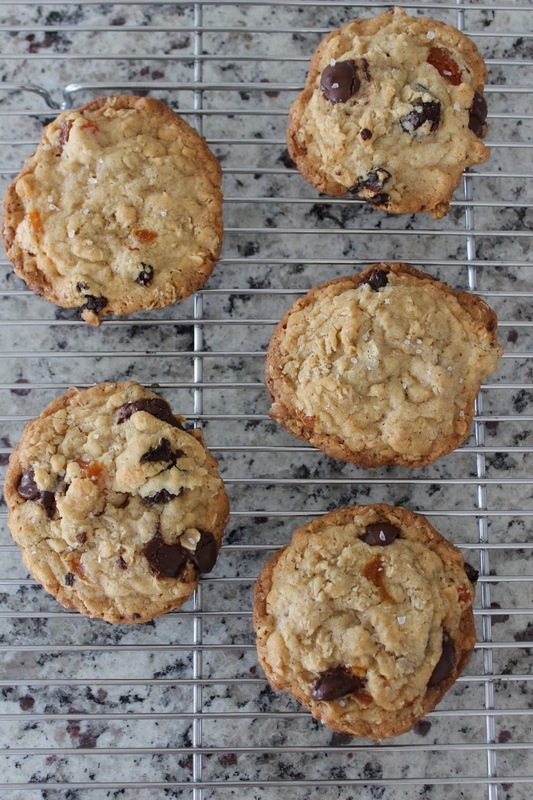 These cookies I made today have chocolate chips and crushed up Heath bar pieces! So. Freaking. Good. Although this has the most amazing flavor, you really need to let the dough refrigerate for at least 24 hours. Sorry. But it makes a huge difference. We’ve found that three days has the best flavor. Recipe and super helpful tips below! – additional mix-ins if you want! The cookies pictured have crushed Heath bar pieces and chocolate chips. * Though the dough tastes amazing right away, you need to refrigerate for at least 24 hours for the best flavor when you bake. Three days is best! * Only scoop out what you want to eat! We keep the bowl of dough in the fridge with saran wrap pressed down on top of the dough. Just scoop out and bake what you want to eat at the moment. * If you bake and don’t eat, freeze immediately to keep fresh. 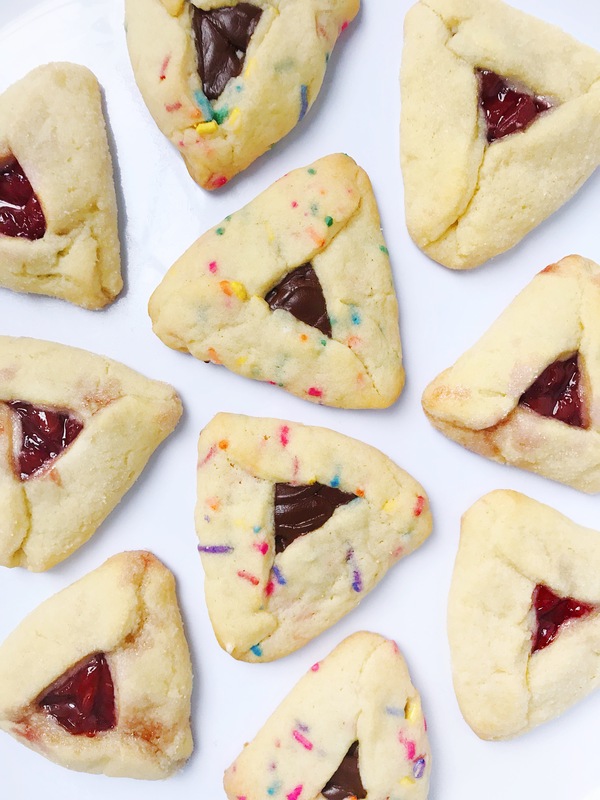 These are amazing fresh out of the oven, but get stale very quickly. * Bittersweet chocolate chips are best with this in my opinion. 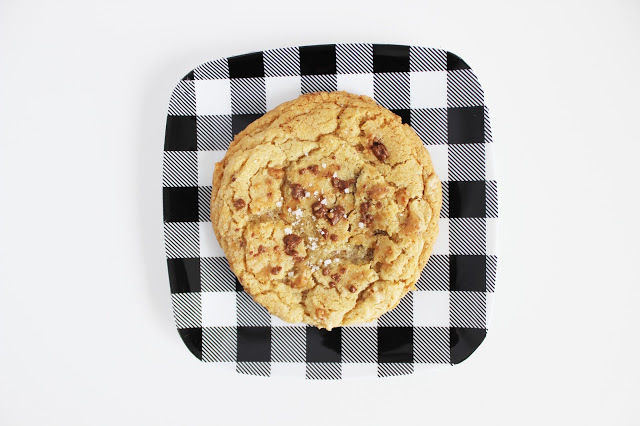 The cookie is already sweet- it doesn’t need sugary sweet chocolate in there too. I love 60% Ghirardelli. 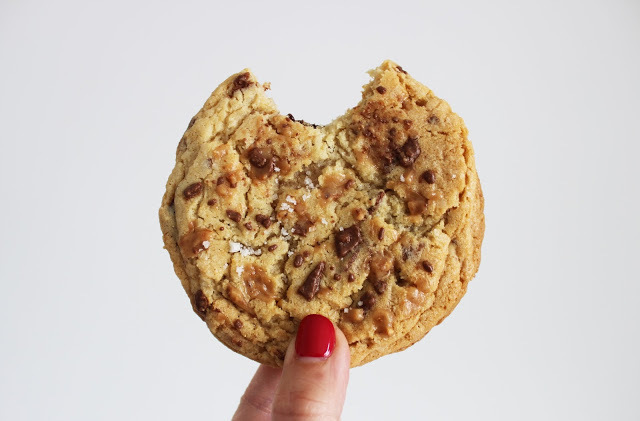 * A good cookie starts with good ingredients. Use GOOD vanilla, good butter, etc. 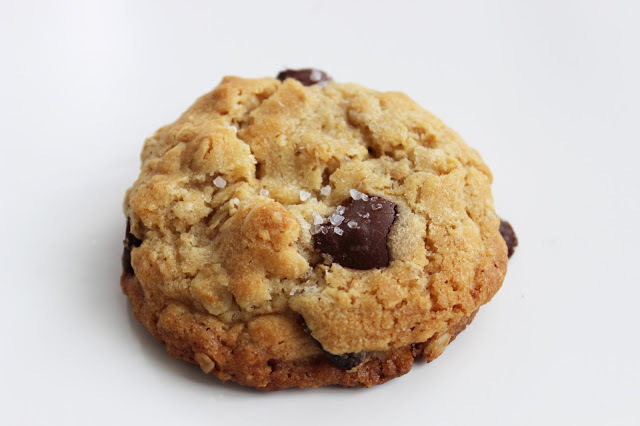 * A sprinkling of fleur de sel on top after the cookies finished baking really brings out the chocolate flavor. Yes, you read that right! We have theeeee perfect cupcake recipe for you today. 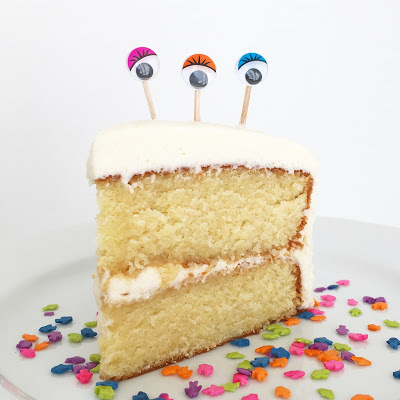 Leah may have “stolen” it from a NYC bakery. Shhh! 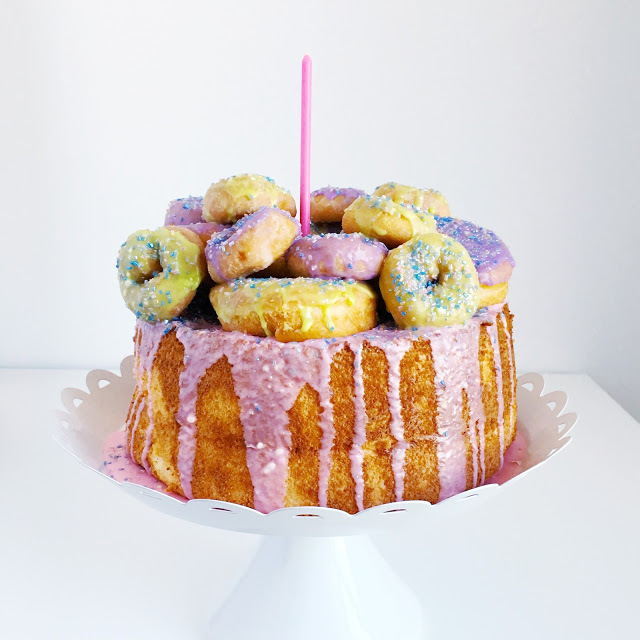 These are our go to cakes for any grown up secret eating time after our kids go to bed and no one is watching celebration, but ESPECIALLY Valentine’s Day, right? I am not a box of chocolates girl myself, but put a piece of cake in front of me, and its gone in two seconds flat. What can I say? These cupcakes will eat any other cupcake for dinner. 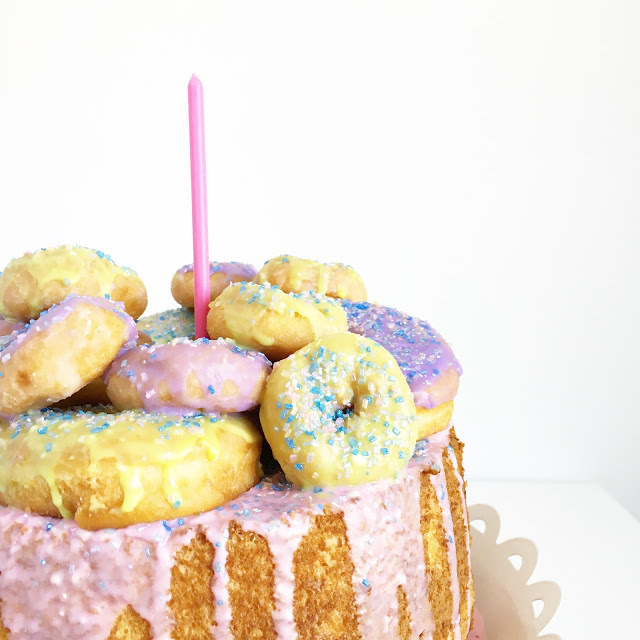 And the frosting….. Ohemmmmmgeeeeee! The lightest, fluffiest, not overdone buttercream frosting we have ever tasted! 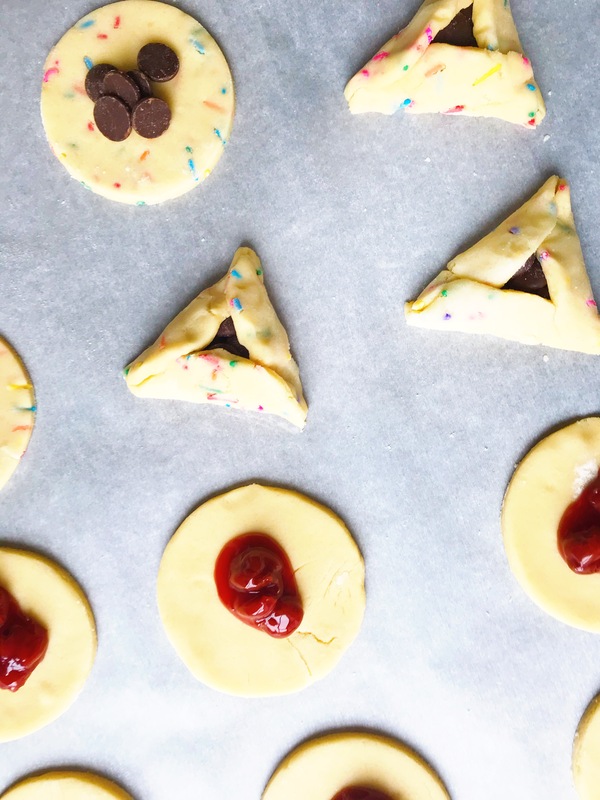 Our secret baking tip (well, I guess its not a secret) is to under bake. Even if it means cutting off the last few minutes. It makes such a difference in the moisture of the cake here. Promise!! Preheat oven to 325 degrees. Combine flour, sugar, baking powder & salt. Add butter, mixing just until coated. In a separate bowl, whisk together eggs, milk, vanilla. Add the wet mixture to the dry mixture in three parts. Bake 17-20 minutes. REMEMBER… We underbake. I am always checking mine around the 15 minute mark. I stick a toothpick in and take them out just before the toothpick comes out completely clean. Beat butter and salt at medium speed with an electric mixer 1-2 minutes or until creamy; gradually add powdered sugar alternately with 6 Tbsp. of milk, beating at low speed until blended and smooth after each addition. Get it to your desired consistency and then stir in vanilla. We promise you….. you will thank us! 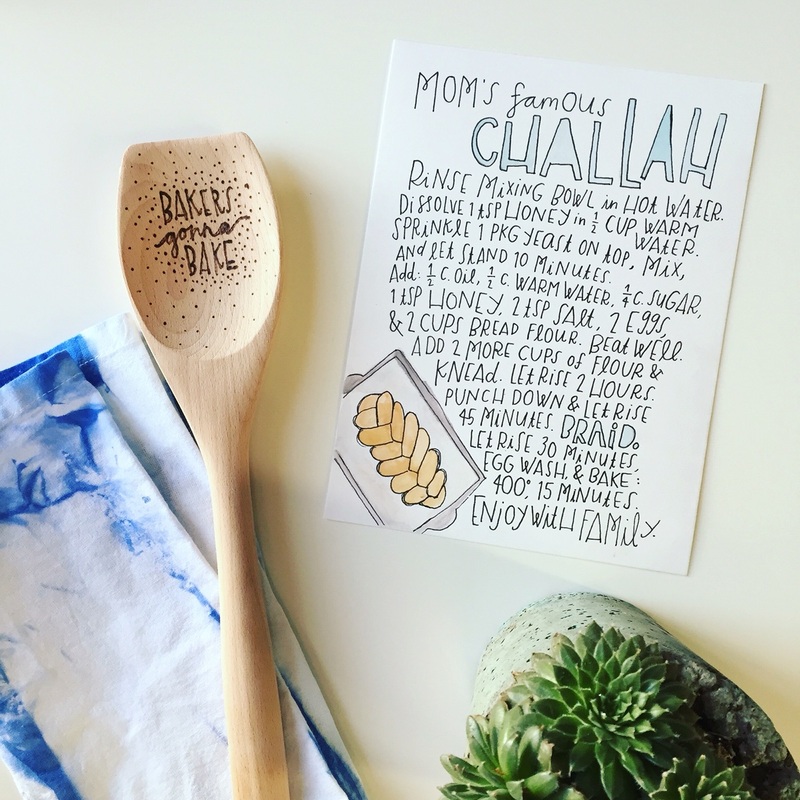 If you saw my last post on hand lettered recipes, you’ll know how much I’m obsessed with Alyssa Makes Something‘s work! This order was super special. My husband and I had a friend, Jeani Cooney, who passed away this year. She was the mother bear of his whole office and was beloved by every single person who knew her. 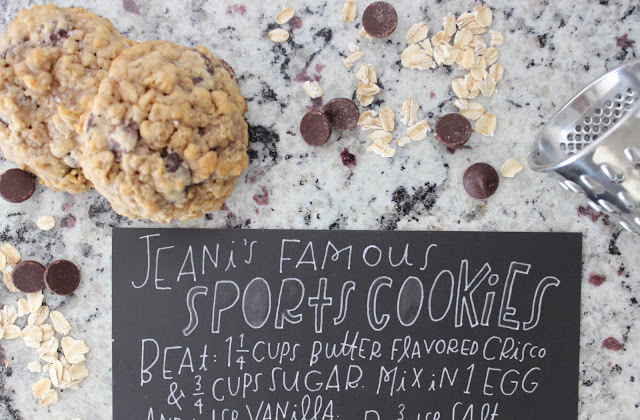 At company softball games she would bring her famous “sports cookies” and they are SO GOOD. And I am a major cookie snob. 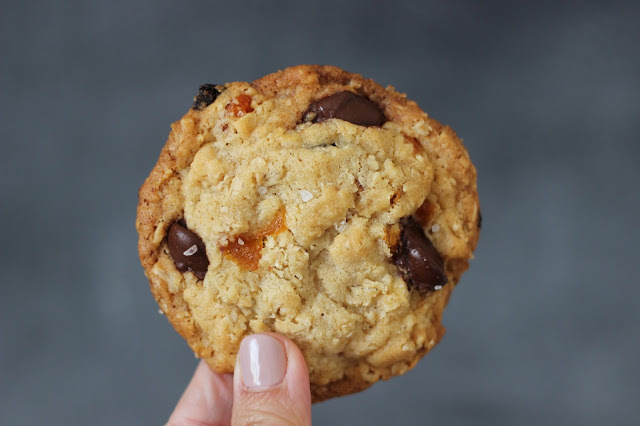 Oats, chocolate chips, and spices of cinnamon and nutmeg are a surprising and delicious combination. 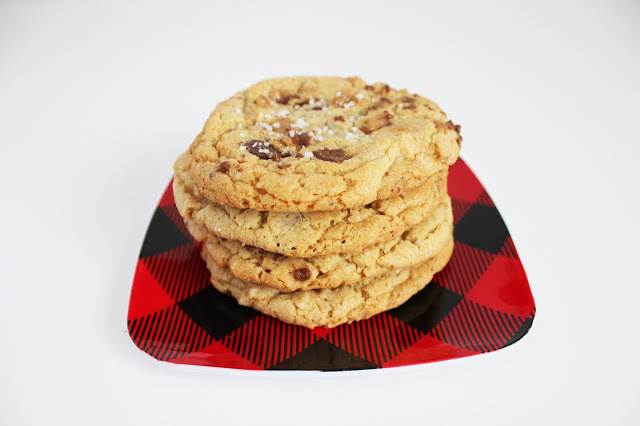 The cookies are dense and chewy will make your whole house smell like Christmas. 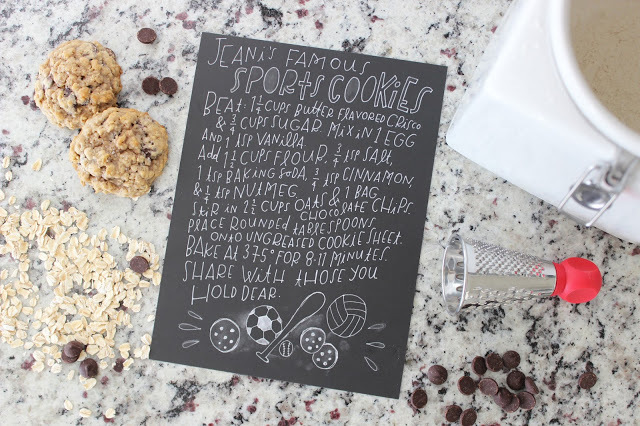 We purchased the digital option of the hand-lettered recipe and had it printed as a keepsake for the entire office to enjoy for the holidays. 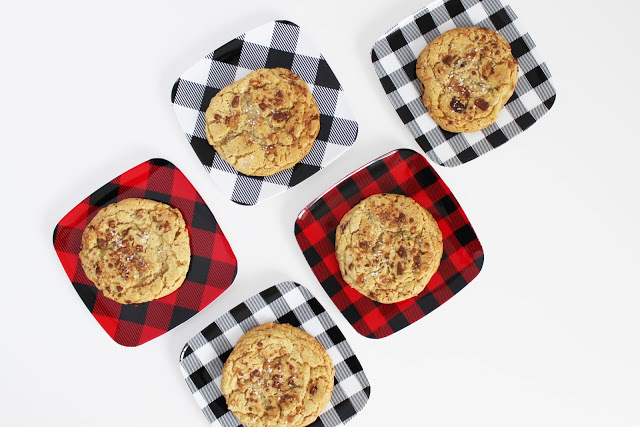 I made the cookies this holiday season with my five-year-old and told him all about Jeani and about how we will always thing of her when we make these sweet cookies. 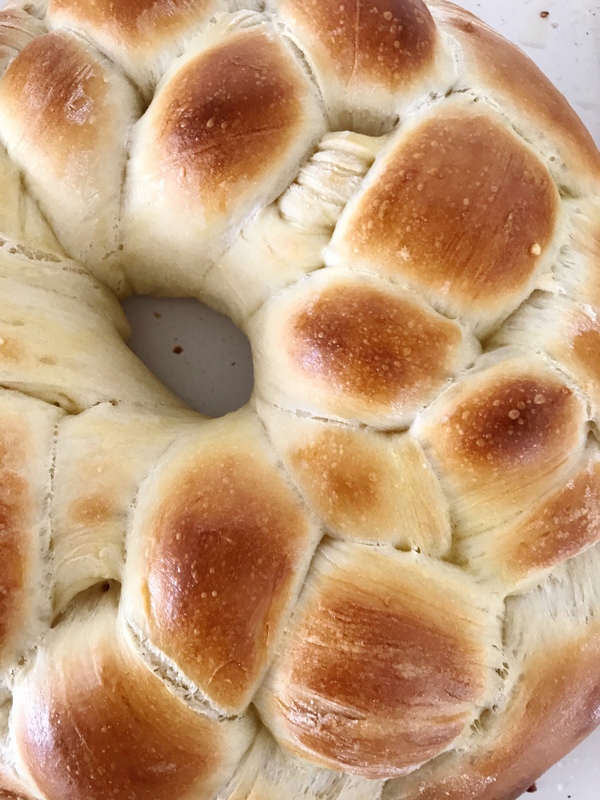 So happy to pass on our memories of her through this recipe. 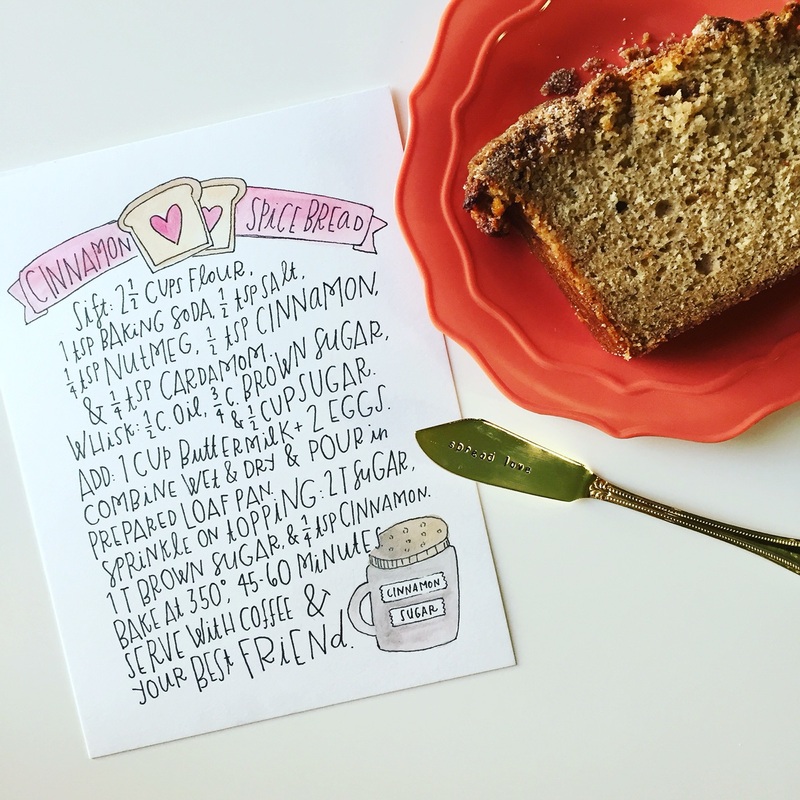 Download printable recipe hand lettered by Alyssa Makes Something right HERE. * TIPS: All I had at the time was margarine and not Crisco, but it worked just as well. I use a little less nutmeg than Jeani calls for, and I also sprinkle the top of the baked cookies with a little fleur de sel or kosher salt right after taking them out of the oven. Like any cookie dough, it’s way better the next day and even better on the second or third day. 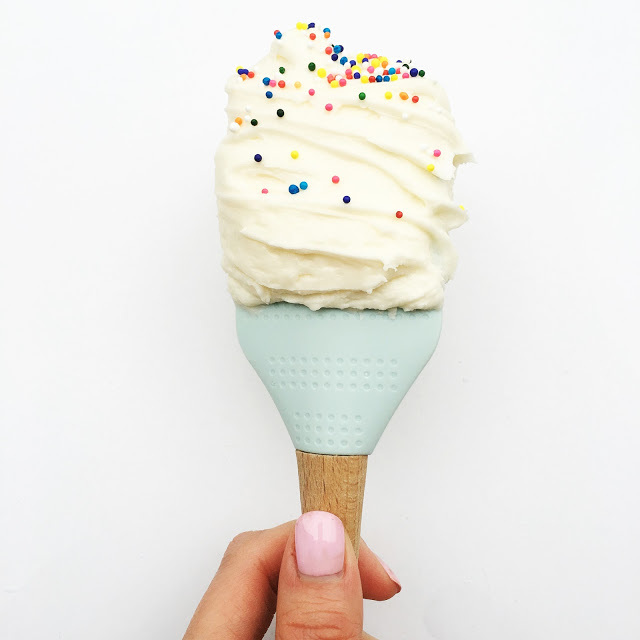 We make the dough and just scoop out what we want to eat that day. Leave the rest in the fridge with saran wrap pressed against the dough. 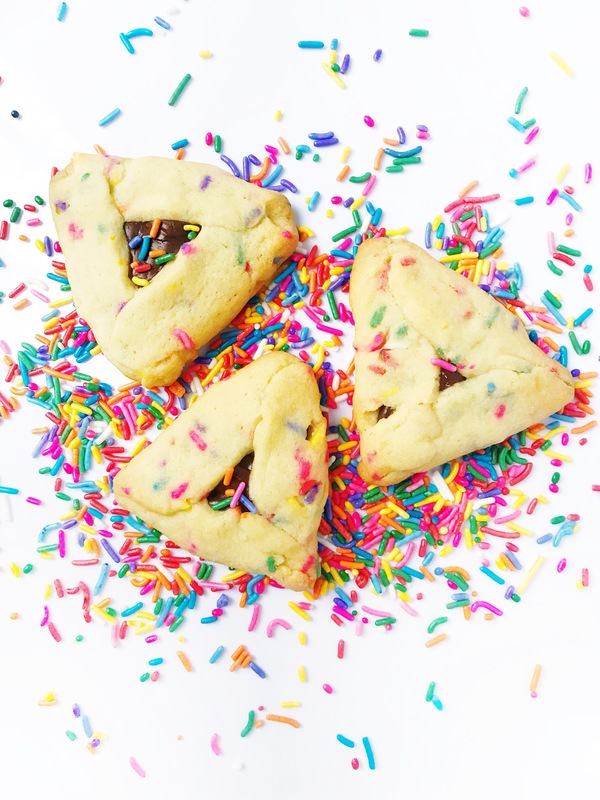 Hope you can make these cookies and share them with the ones you love! This is my go-to meal for my family, especially on a chilly fall day! My kids gobble it up, though I think the cornbread might have something to do with it. You can really add in whatever vegetables (or meat) you have in the fridge and it’ll always taste good. There’s a variation of this that I LOVE if you scroll to the bottom- you cook the cornbread dough directly on top of the chili so that each bite has a layer of cornbread on it! YUM. Heat olive oil on medium and add in garlic, chopped onion and pepper, and saute 5 min. Add in meat crumbles and saute 5 min. You may need to add a little more olive oil at this point. Add in all cans and spices you’d like. Bring up to a boil then reduce to simmer for about 30 minutes. I like to put a handful of chopped kale at the bottom of my bowl, put the hot chili on top to steam, then pile on the toppings. When cooking for my whole family, I leave all of the spices out except for cumin, salt, and pepper so it’s not too spicy for my kids. I’ll add crushed red pepper to my own bowl. Spread cooked chili in an 11×13″ pan (as much as can fit leaving at least 1″ room on top. I like to freeze the rest! 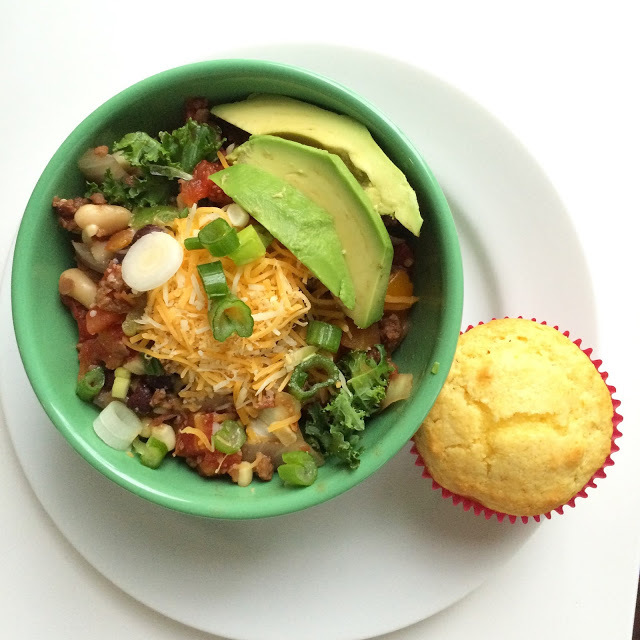 Make 2 boxes of Jiffy cornbread mix (you’ll need 2 eggs and 2/3 cup of milk) and spread the dough on top of the chili. Bake at 400 degrees for 12-15 minutes or until cornbread just starts to brown. Don’t overcook, or your cornbread will be dry! 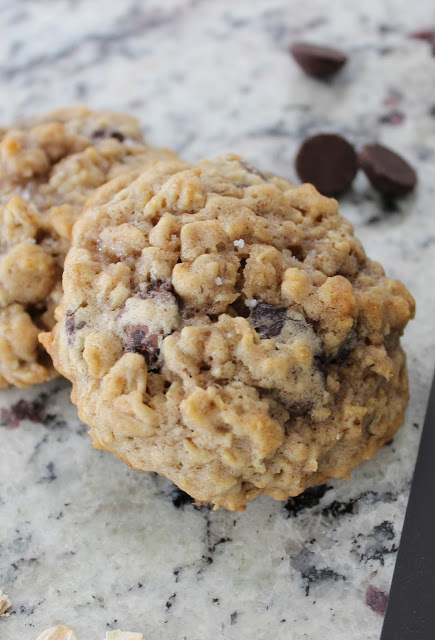 You can use any mix-ins you like with these oatmeal cookies! This is just a great base. 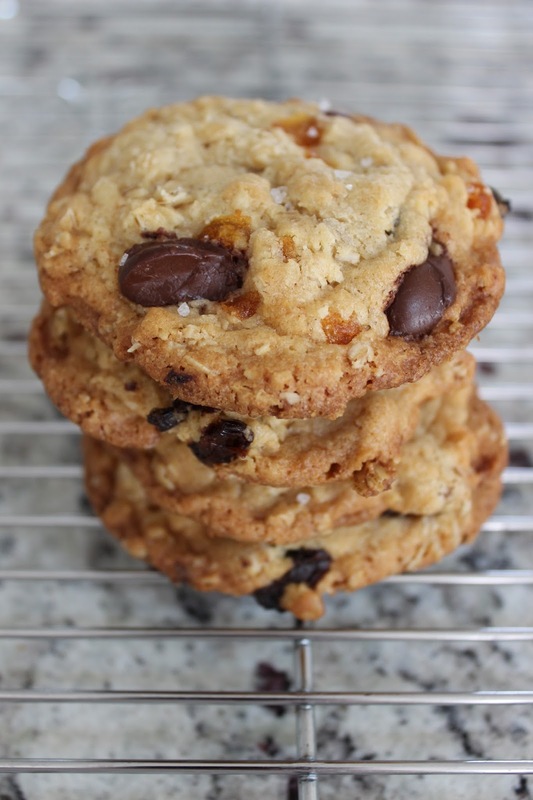 I used bittersweet chocolate chips, dried apricots, and dried tart cherries. We just got back from Michigan where I get my favorite American Spoon dried cherries. They’re SO. GOOD. I put them in cereal, hot oatmeal, spinach salad, kale salad, and now cookies. I’m very passionate about food, can ya tell? So I obviously needed to use these bad boys for the best oatmeal cookies ever. Please make sure to note that you need to let the dough refrigerate for at least 2 hours. I know…torture. You can eat the dough in the meantime. The longer you leave the dough, the better the flavors will combine. 12 hours is great, 24 hours is better. If you bake after 1 or 2 hours they’ll taste great but the dough will spread out pretty thin. 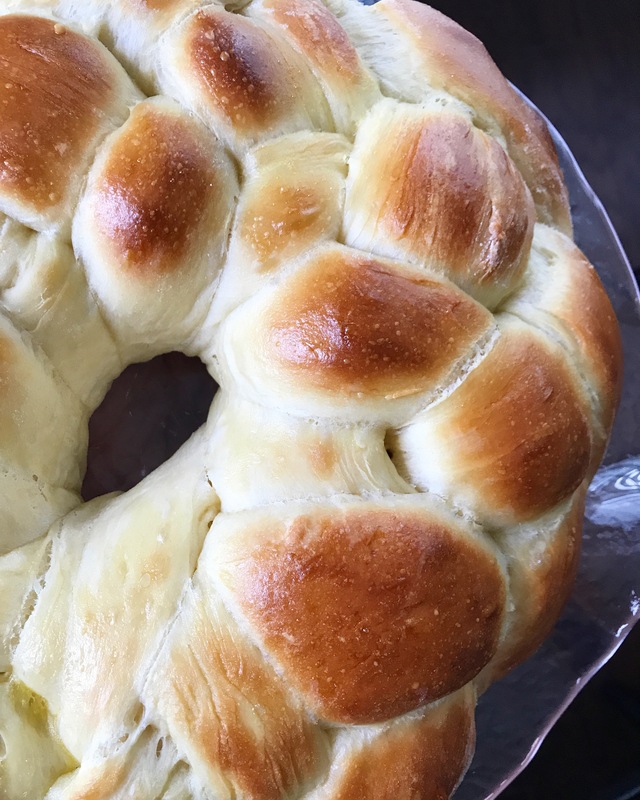 I’ll stop blabbing… scroll down for recipe! 1. Mix together dry ingredients and mix-ins in a separate bowl. Set aside. 2. Beat butter and sugars for 5 minutes. 3. Add egg and mix until combined. Add vanilla. 4. Add dry ingredients until just mixed. 7. Bake 350 degrees for 18-20 minutes until edges are browned and the tops are starting to brown. 8. Sprinkle tops with fleur de sel or kosher salt and let the cookies cool on the tray for 10 minutes. *Bake only what you want to eat at that time for the freshest experience! 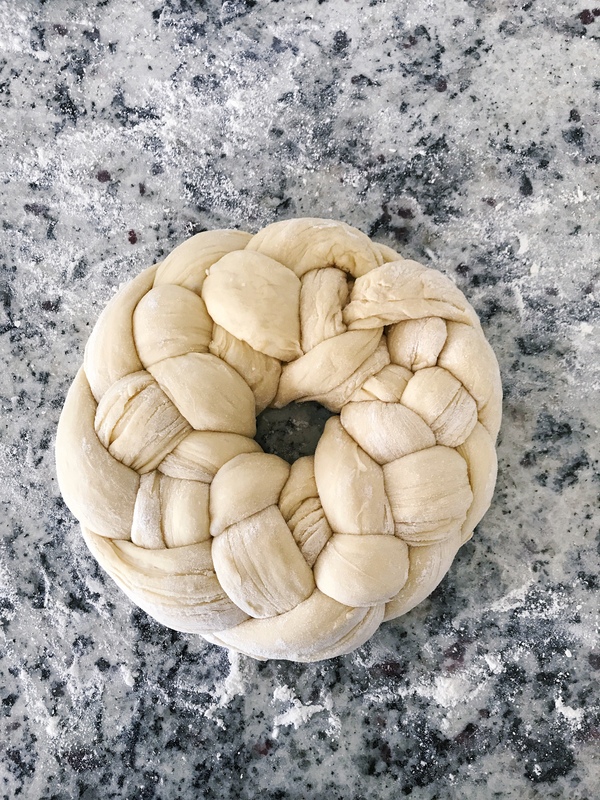 Dough keeps really well in the fridge for a week. I used a sugar cookie recipe for crust, because I’m intimidated by pie crusts. I made up the filling but it turned out delish! Anything using The Peach Truck peaches is bound to be good right? 1. Cream sugar and butter for about 5 minutes. 2. Add egg yolks and vanilla. 3. Slowly add flour until it doesn’t feel sticky anymore. 4. Press saran wrap on dough and chill in the refrigerator for at least 30 min. 1. Mix the filling topping together. 2. Using floured hands, press about 1/2 of the chilled dough into pie pan – just wing it, it’s rustic. Try not to go too far out on the sides of the pie pan. Since it’s a cookie dough recipe, the dough will spread a bit when it bakes. 3. 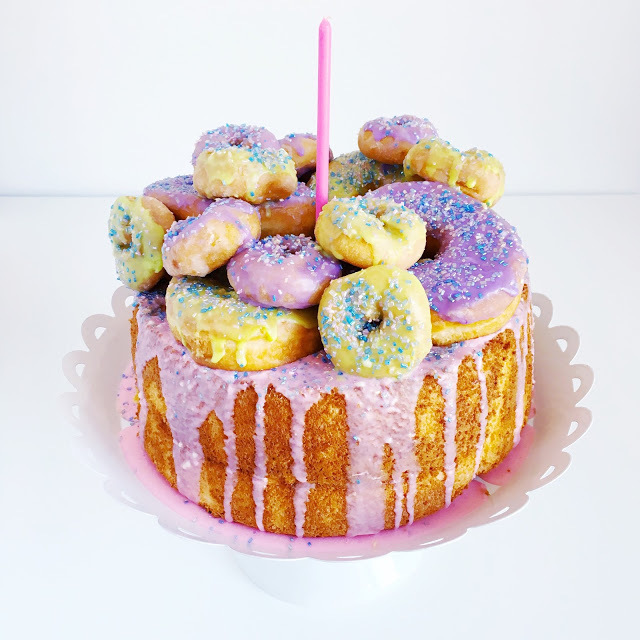 Pour in the peach filling. 4. 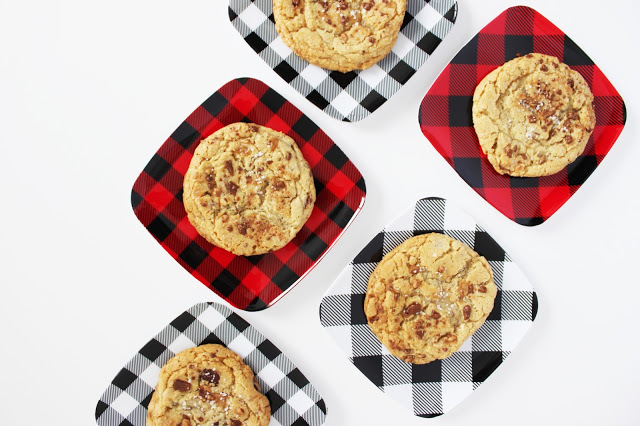 Top with a little extra dough in a pretty shape (and save the rest of the dough for cookies!). 5. Chill the pie in the fridge while the oven preheats to 350. 6. 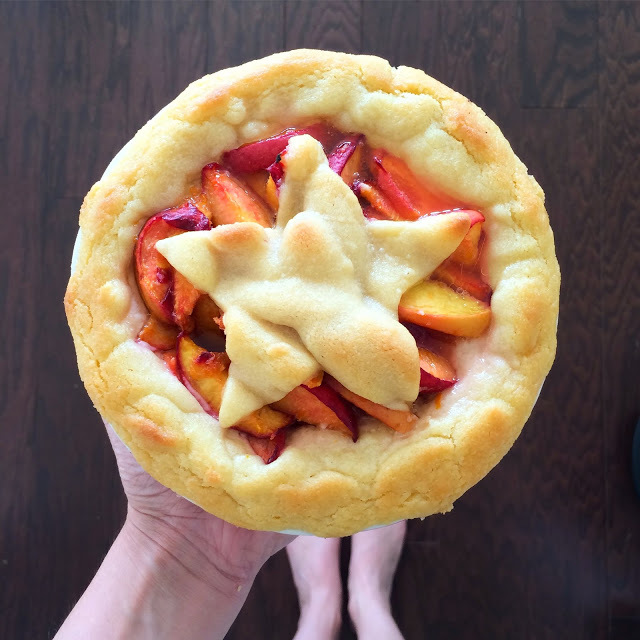 Place pie on a baking sheet in case of the filling or dough bubbling over. 7. Bake at 350 degrees for around 15-25 minutes until crust is lightly brown and filling is bubbly. 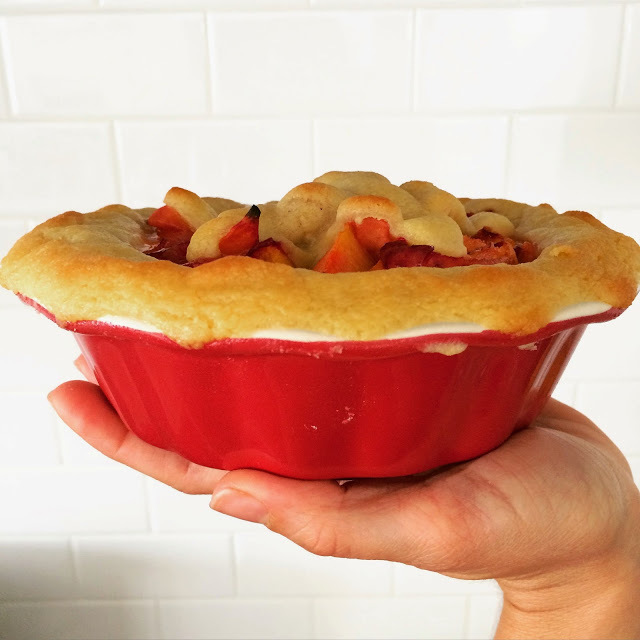 My oven bakes way faster so just keep an eye on your pie! You guys. This salad is SO good and SO filling. I’ve been craving it (not pregnant) every day for dinner and sometimes for brunch over eggs. Mmmmm. 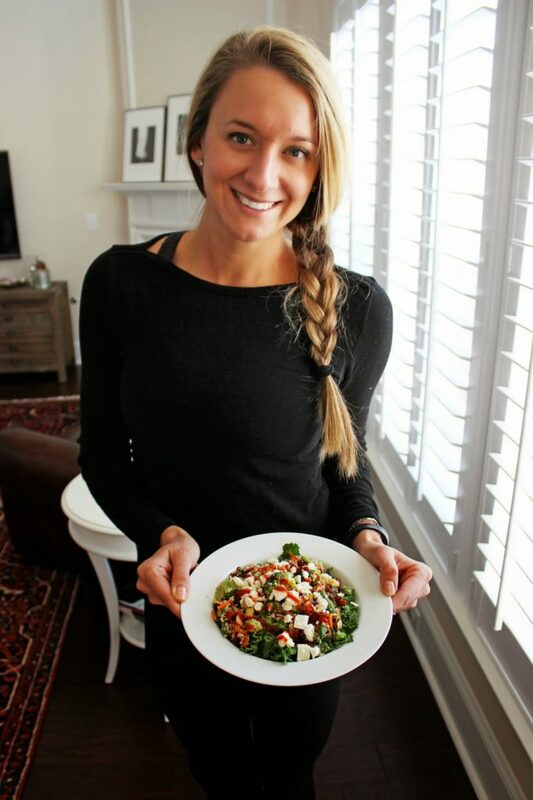 Kelly Simmons from yesterday’s nap time pilates post HERE created the yummiest healthiest salad, and she’s letting us share it with you! Hooray! Actually when she came over for the photo shoot, she brought the salad for me as a yummy post workout lunch. I mean… come on! Kelly tells me that’s a lot of siracha I added on there. I could have gone with more, but I’m a freak. I usually add a huge handful of extra steamed kale under the salad, and I’ll throw some grilled tofu on top for me and grilled chicken for the hubs. I make a recipe of this in a huge pyrex covered bowl and it lasts the week. I’m usually in a rush to eat with the kids so this is perfect for just scooping out over kale, microwaving, and dousing in siracha 🙂 Enjoooooy! -Prepare 1.5 cups of quinoa according to package directions, but boil in large pot, instead of small pot. Add salt to water. -While quinoa is cooking, put all of the veggies in a huge, microwave safe bowl (I like using a gigantic glass pyrex bowl, because I can then store the quinoa dish in it later). -When quinoa is finished, throw 2 cups of spinach or 2 cups shredded kale into pot with quinoa. Stir until greens are wilted. -Drain veggies. Put them back in the bowl. 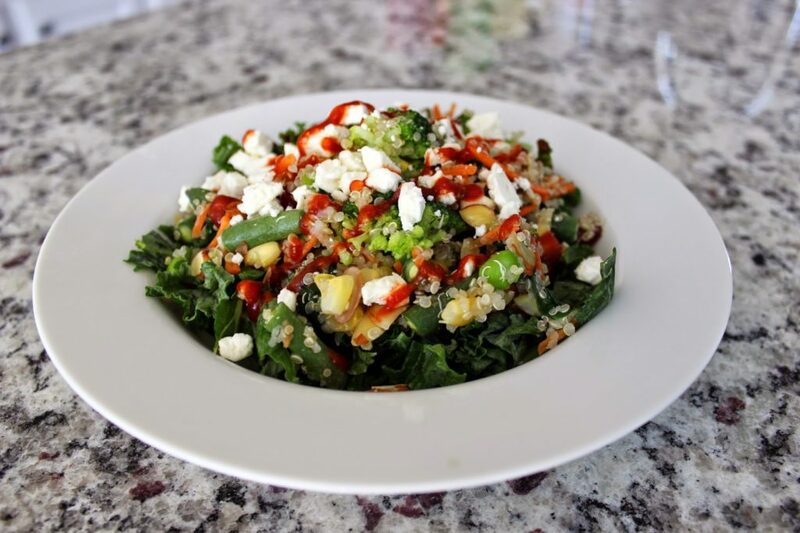 Add quinoa and wilted greens to veggies in the bowl. Add salt and pepper, a handful of sliced almonds, dried cranberries, feta, and avocado (optional). -Scoop out a serving size, and your favorite condiment (I’d suggest balsamic, teriyaki, hot sauce or siracha) and enjoy! – Depending on how much quinoa/veggies you want, you can reduce the amount of quinoa to 1 cup, or increase it to 2 cups. – I like a LOT of greens, so before I dish out my serving, I put torn kale in a microwave safe bowl, then add the quinoa mixture on top of the kale. I cover the bowl, microwave for 1-2 minutes until the kale has wilted. Then, I add the feta. – For protein, the quinoa mixture tastes great with eggs, chopped deli meat, chopped chicken or whatever you’d like to add. My favorite combination is scrambled egg whites with a few pieces of chopped deli turkey, with avacado and siracha. As a Certified Health Coach with the American Council on Exercise, Kelly helps people get well and stay well with tools and strategies for everyday healthy living.